This existing traditional stone villa is located in Ardrossan, and our Clients' brief was to improve the organisation and size of the kitchen, also enhancing the connection between the house and the garden. Our solution was to add a 'Clip-on' box to the side of the house, hovering over the rear yard. 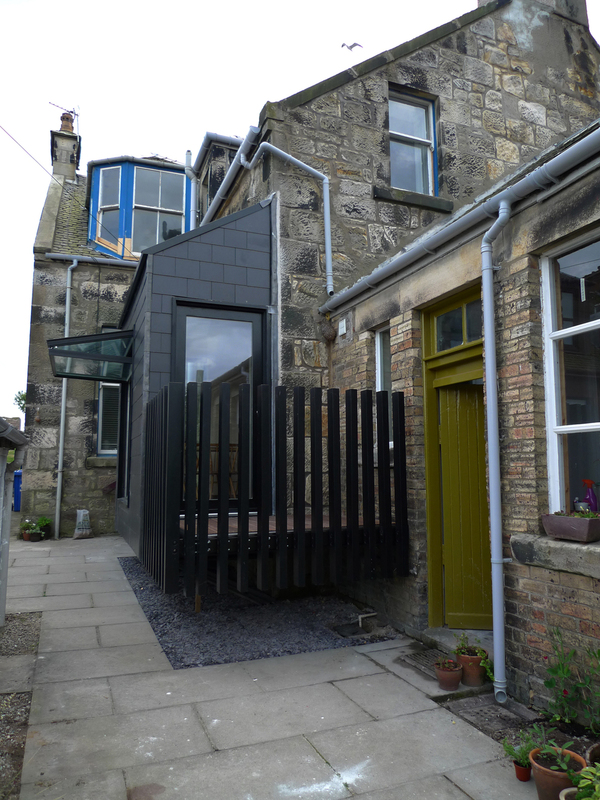 The simple form matches the existing roof pitches, and using black fibre cement cladding ensures that the new box is neutral and subservient to the original house. 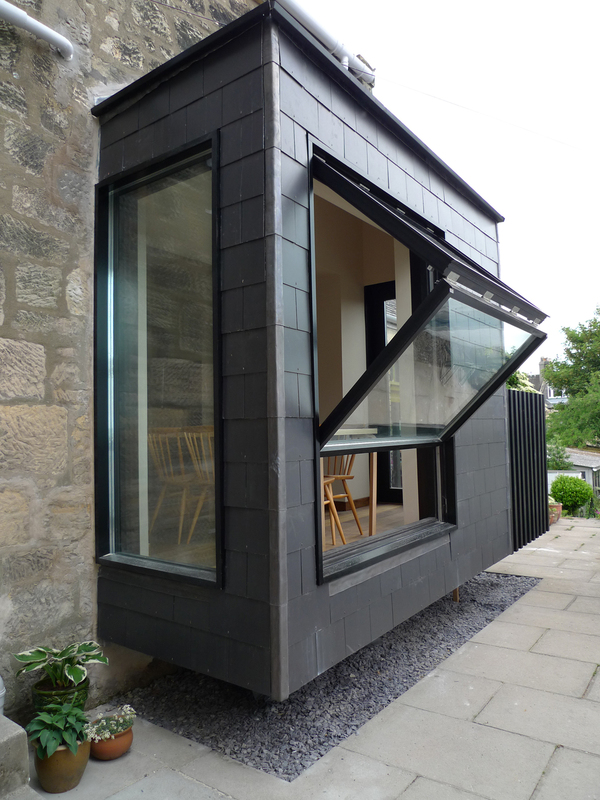 The new internal organisation provides clear views and access through the house to the rear outhouse and garden, to suit our Clients' lifestyle needs, as this is where they spend much of their leisure time. 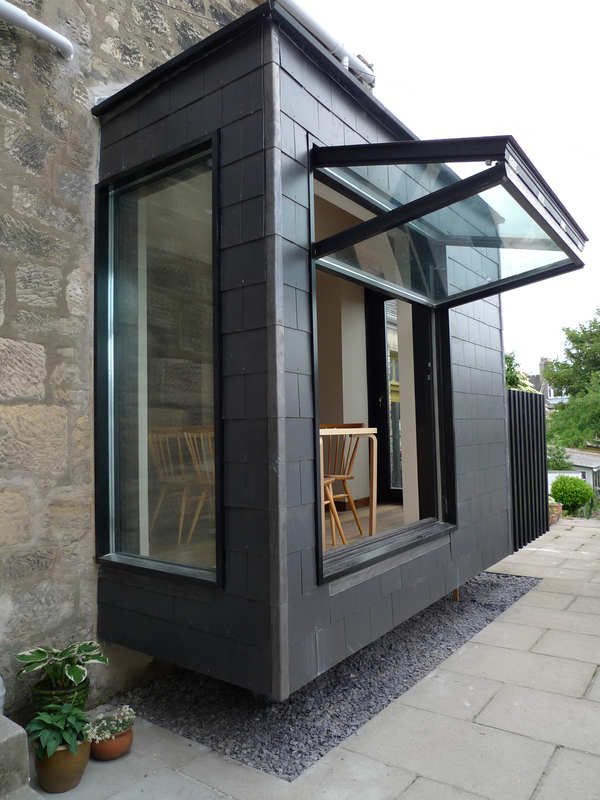 A large folding canopy window allows the dining and kitchen space to connect directly to the external environment in all weather. Outside a re-interpretation of the balustrade around the terrace creates an enclosure while dissolving the boundary between the house and the garden.